The most striking of our chains, Duffy is a french curb chain which looks fabulous alone as well as combined with ROSA charms. 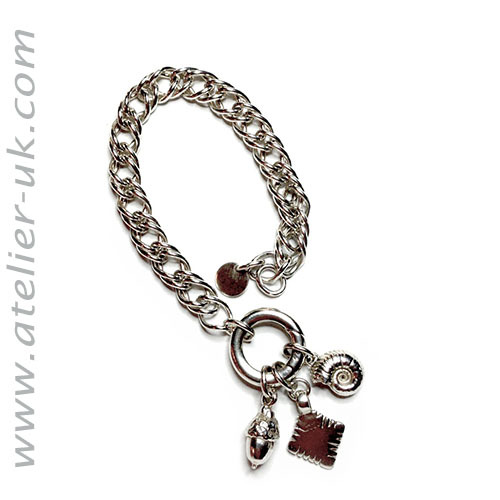 The chain links measure 13mm x 8.5mm and lays beautifully around your wrist. We offer this in 7.5 inch chain as standard, but for a small additonal fee you can have 8 inches as a special order. Plese measure your wrist carefully before you order.